Three years ago, on a bit of a whim, I bought a Canon EF-S 10-22mm lens . The action was probably symptomatic of Gear Acquisition Syndrome, but I’ve fortunately managed to keep it under control since – I’m still using the same set of lenses I bought around that time! It was a pricey item, and to this day I don’t really know what possessed me to spend such a sum on a piece of glass that I didn’t really know how to use. What’s more, I wasn’t sure I’d use it regularly. But all the pictures in this article were taken with it, and these days it hardly leaves the camera. Others have asked me about wide angle photography, and I’ve even loaned my 10-22 out a couple of times, so I thought it was about time I put down some words about traveling with a wide angle lens. This entry was posted in Articles, Photography and tagged 10-22mm, canon, photography, wide-angle on July 13, 2013 by Alex Forbes. I’ve been getting into my photography recently – I’ve had an SLR camera (a Canon 350D) for a long time but haven’t really used it as much as I could have. 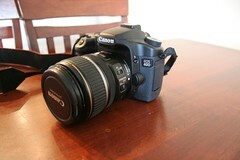 What better way to reinvigorate my love for photography than buy new gear? I started quite modestly, replacing the kit lens of my 350D with a Canon 17-85mm which really makes it a whole new camera as it’s a much nicer lens. 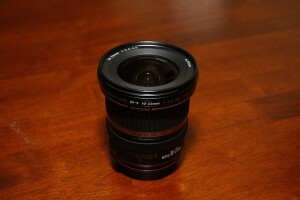 Next I bought the cheapest possible prime lens, the 50mm F1.8 II. So far so good. Ah well, it was nice having money while it lasted. You can see the results of my purchase on Flickr, although you’ll need to be a friend to see them all. This entry was posted in Photography and tagged 40d, camera, canon on February 23, 2009 by Alex.